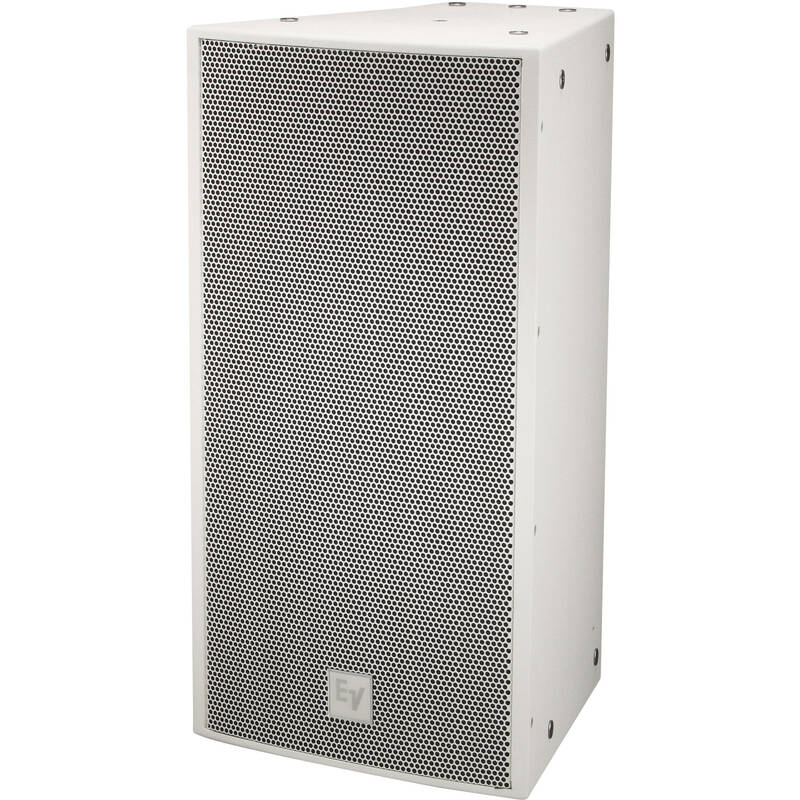 The white EVF-1122S Single 12” 2-Way Full-Range Outdoor Loudspeaker System from Electro-Voice can be used in a variety of applications where high-quality sound reinforcement is required. It utilizes the high-output ND2B 2” titanium compression driver, coupled with a constant directivity 90° x 40° waveguide. The SMX2121 12” woofer is developed with FEA optimization for motor, suspension, and electrical design to ensure very low distortion, high efficiency, and maximum intelligibility at high SPL. The crossover uses steep, 24-dB-per-octave slopes with equalization for smooth response in the vocal range, linear off-axis response, and a protection circuit for long-term reliability. The trapezoidal enclosure of the loudspeaker is constructed out of weather-resistant birch, and coated with fiberglass for maximum protection from extreme outdoor elements. The acoustic and rigging design allows for vertical and horizontal clusters to be built using any combination of loudspeakers from the EVF and EVH series. The input panel provides two 4-pin 10 AWG Phoenix connectors and a gland nut cover plate for weatherizing. An externally accessible jumper selects passive or active operation.